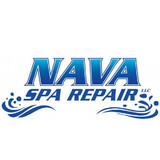 Nava Spa Repair, LLC has over 10 years experience in repairing, servicing, and restoring spas and hot tubs. We can also assist in spa relocation, disposal, and removal. We are proud to serve Sonoma, Napa, and Marin counties. We take pride in our work by delivering professional, honest, courteous, and efficient craftsmanship to every customer. 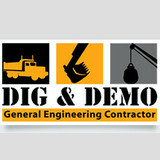 Our prices are competitive and you can rest assure that the job is getting done right because the owner is on site. Our service vans carry a wide range of parts to get your spa or hot-tub up and running during our first visit. We are fully insured, licensed, bonded, and also work with a wide range of home owners insurance companies. Contact us. You will not be disappointed. Linden's Pool Service takes the worry out of owning a pool or spa. I understand how owning a pool can be one more worry in your busy life. 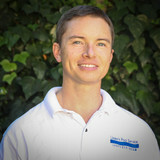 My aim as an independent pool technician is to remove that worry by being reliable, honest, professional, and thorough. I enjoy seeing the relief and happiness I can give customers. Being knowledgeable in chemistry, equipment, and office work I can troubleshoot and address issues above and beyond the typical hired service technician. No longer will you need to "call the office" when a repair is needed, you only need to talk to me about all your needs. I can install and program variable speed pumps and salt systems. I can solve complex chemical issues. We are a Demolition and General Engineering Contractor specializing in residential swimming pool demolitionand fill; we also offer professional excavation and demolition services. We are always on time and on budget. With our highly trained crews, top of the line equipment, and an endless list of satisfied customers, we have established ourselves as the finest swimming pool demolition and removal company in the Bay Area (and maybe the world :- ) We are a full service demolition company. A certified recycler for the Solid Waste Authority, a certified green business, we own all of our equipment and all of our employees are full time and covered under the companies workers compensation policy, fully licensed, bonded and insured, and provides safe, professional, cost effective service to our clients. At Dig & Demo we take recycling seriously and can reuse or recycle up to 100% of what we haul away. We treat each of our clients as if they were a member of our own family. We understand how important it is for your family and friends to stay safe this summer season, and we take every precaution to ensure the safety of swimming in your own pools. We are a customer satisfaction driven business, and we hold true to our standard. Our customers seem to love us, just take a look at our Google Reviews, Yelp Reviews, and Facebook Reviews over the years! We have been called upon for recurring services, and we love meeting new customers as much as we servicing our recurring customers. Try us out, you may be happy to find your pool company for the following years. Whether it is a one time pool cleaning whip your swimming pool and spa into shape, repairing pool and spa equipment, or regular maintenance to keep everything running smoothly, call us at (925) 269-9399 to get a free quote for any swimming pool, spa, hot tub, or jacuzzi cleaning and repair needs. Baby Proof Pool Safety Systems is the largest installer of swimming pool safety net covers having installed over 1,000 systems since 2002. Our company's goal is to inform a buyer on the many swimming pool safety barrier options available and to offer unparalleled quality installation and customer service at a competitive price. We are consultants and installers of the highest quality of swimming pool safety nets and removable mesh pool safety fencing systems serving selected markets in San Francisco, San Jose, East Bay, Marin, North Bay and other Northern California locations. At Baby Proof Pool Safety Systems, we are mothers and fathers first and foremost. As such, we believe that in addition to good adult supervision, the best swimming pool safety barrier system involves multiple layers of protection. We are not a single-product-company pushing one product or a single solution. On the contrary, we present a number of solutions to a customer and we attempt to objectively go over the pros and cons for each type of system or combination. After a customer has chosen a Baby Proof pool safety net cover solution, we follow up with a quality installation with the highest regard for workmanship and aesthetics. At Coral Pools, we are focused on providing all of your swimming pool needs with the highest levels of customer satisfaction – we will do everything we can to meet your expectations. Coral Pools is a family business that has been in operation for three generations. We have the experience and resources to take care of all of your swimming pool needs. Visit our "Meet the Team" page to learn more about us! Picture Perfect Pool Services, Inc.
With more than seventeen years of expertise in commercial and residential pool maintenance, Picture Perfect gives you perfect peace of mind. You can trust us to take care of any and all pool-related needs, from repairs to equipment upgrades to new installations- we've got you covered! Our services are based on old fashion values: Use the best materials available, send out only highly-trained technicians, and pay special attention to the details. Give us a call to experience pool service that's perfect. Let our professionals keep your pool performing at its optimal levels and ready for use. Contact us today! We offer excellent customer service for service and repair to swimming pools, spas, and hot tubs. We also carry a variety of supplies and new and used equipment to keep your pools running great! In-Depth Leak Detection has been detecting and repairing underground leaks in Northern California since 1992. Owner-operated, we specialize in pools, spas, and all associated systems. In-Depth Leak Detection is known for our comprehensive testing methods resulting in exceptional accuracy. The use of dye, vacuum, electronic sound amplification, pipe tracing, inert gas, and air pressure are some of the testing methods that we utilize on pool/spa plumbing and structures. Underwater diving is an important part of our testing procedure to assure that all shell leaks are found the first time, thus eliminating costs incurred for additional visits. Diving in the pool/spa also allows us to actually see a structural leak to determine it's exact location and severity so that the proper recommendations for repairs can be made. Our Reputation We are proud of our reputation in the pool/spa industry and most of our business is by referral. If the contractor that referred you to us cannot do your necessary repairs, we will give you a written estimate or refer you to someone who can help you. Our repairs are done with utmost care and attention to detail. We are a licensed (C-53) contractor with 20+ years experience and thousands of pools tested from the Greater Bay Area to the Sacramento Foothills. Precision Leak Detection, Inc. was established in 1997, by founder & President/CEO, Kevin Brady. Kevin has 25 years of industry experience using state-of-the-art electronic and molecular analyzer locating devices. Kevin and his team have built Precision Leak Detection, Inc. as a leading leak detection company by referrals, hiring quality employees, attention to detail, integrity of work, and superior customer service. All solar panels are not alike. Some cause high backpressure which raises the electricity the pump uses to push pool water through the tubes. Unfortunately, one of the most installed solar pool panels in the market place, Fafco, takes the most pump energy to push water through. It's a good panel, but look at this. Even though the panel has 206 active water channels in each collector, they are fed by a sub plenum chamber that only has 14 holes. Trying to push the pool water through those 14 holes causes high pressure, compared to panels that have a single hole for each tube like the Gull Poly Pro or the Sunstar panels. At 4 gallons per minute per 10' collector at their recommended flow rates, the Fafco panel has 8 times higher pressure drop than the SunStar panel and 4 times more than the Gull Poly Pro. Remember, with single speed or variable speed pumps, the lower your filter pressure gauge is, the less electricity the pump is using. That's a fact! So during the swim season when your pump runs the longest, a system that has been designed to have a low pressure drop will be more energy efficient . This is Eco Solar's specialty. We have lowered the electrical use of a variable speed pump fed solar system by over 800 watts per hour when the solar is on compared to the system we replaced. That's $300 worth of electricity saved in 6 months running the solar just 6 hours per day. And we install Flow Vis flow meters to accurately adjust the proper flow for each pool or spa function including the solar flow. Our business is our livelihood but it is also so much more. Unique Pools LLC was started to fill in a void in the current market and to make a business that people can place their trust in. Over the years we have never lost our commitment to our clients and that is what has allowed us to succeed in a very competitive industry. The employees of Unique Pools LLC stand committed to our purpose and will provide the best service! Danville California's best Pool Service offers complete swimming pool cleaning and maintenance at HUGE SAVINGS including, pool tile cleaning, pool repairs and pool maintenance at our already low rates. The best pool service in Danville, CA has all the necessary chemicals to maintain your swimming pool like chlorine to clean algae, green pool chemicals and pool and spa maintenance chemicals. We stock and service all types of pool filters, pool pumps and swimming pool heaters for in ground, above ground and gunite swimming pools. We have extensive experience performing swimming pool inspections for home buyers. We perform Swimming pool inspections at half the cost of other companies and provide a complete 36+ point well written report. All our inspectors are certified and current with all pool inspection requirements. Hot Tub Repair Service is one of our specialties. In Danville CA, we carry quality parts from Balboa and stock items such as heaters for hot tubs, Jacuzzi items, jets, and all parts relating to your hot tub and spa. Sundance spas are also serviced. My name is Gabriel Valdivia, Founder & Owner of Clear Waters. I’ve invested 3 years in the swimming pool industry with a local company out of the East Bay before venturing off establishing Clear Waters in 2009. Eager for growth in 2010, Clear Waters became part of the United Pool Association (UPA). An owner operated service from day one Clear Waters takes quality to the highest levels providing the safest swimming pool service in the Bay Area. On my spare time you can find me on the field coaching baseball with a local youth league. What should I look for when hiring a pool cleaning service in Lafayette, CA? Pools and hot tubs are big investments, so you’ll want to make sure to protect them by hiring an expert who cares about them just as much as you do. Check that the Lafayette swimming pool maintenance service you are interested in actually specializes in the type of pool you have — chlorine and salt water pools have very different needs, and in-ground versus above-ground pools will require different upkeep and repair methods. Also, know who will be doing the repair or service; if it’s one of the larger swimming pool services in Lafayette, CA, request that you get same person every time, otherwise you could get inconsistency in treatments. Good Lafayette pool professionals will keep a consistent schedule and log everything they do so that it can be referenced in the event that you switch companies or something does go wrong. Like any other professional, look for local pool cleaning companies near you with plenty of good reviews and relevant experience. Find a Lafayette, CA swimming pool repair and maintenance specialist on Houzz. Narrow your search in the Professionals section of the website to spa and pool maintenance companies in Lafayette, CA and read reviews and ratings for pros in your area.